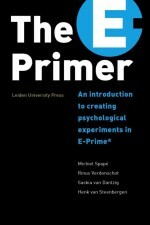 Workshops “Programming Psychological Experiments in E-Prime”. Two-day workshops (basic and advanced) at Ghent University (2013,2014). 2012 – Present. Reviewer for various professional journals (see Publons profile), including: Acta Psychologica; Advances in Cognitive Psychology; Anxiety, Stress & Coping; Biological Psychology; Cerebral Cortex; Cognition; Cognition & Emotion; Cognitive, Affective, and Behavioral Neuroscience; Emotion; Experimental Brain Research; Frontiers in Behavioral Neuroscience; Frontiers in Psychology; International Journal of Psychophysiology; Journal of Cognitive Neuroscience; Journal of Experimental Psychology: Learning, Memory, and Cognition; Memory and Cognition; Motivation and Emotion; PlosONE; Psychological Research; Psychonomic Bulletin & Review; Psychophysiology; Quarterly Journal of Experimental Psychology; Scientific Reports. 2012 Best presentation award NWO BCIA-Programmes for Excellence meeting, Utrecht (July 2012). 2011 Best poster award NIMH IBSC Conference on “How do Executive Function and Emotion Interact?”, Boulder, Colorado (January 2011). 2011 NIMH IBSC, Travel grant to visit annual conference in Boulder (1,000 USD). 2009 Leids Universiteits Fonds (LUF), Travel grant to visit SAN Conference New York (900 Euros). van Steenbergen, H. (2019). The affective nature of cognitive control. Presentation at Freiburg University (invited talk), Freiburg (Germany), January 2019.
van Steenbergen, H. (2018). The role of effort in cognitive control and decision making. Presentation at Motivation Brain Behavior lab, Brain & Spine Institute (invited talk), Paris (France), December 2018.
van Steenbergen, H. (2018). The role of effort in cognitive control: Evidence from physiological measures. Presentation at Dept. of Otolaryngology-Head and Neck Surgery and APH research Institute, VU University Medical Center (invited talk), Amsterdam, November, 2018.
van Steenbergen, H. (2018). The affective nature of errors and its neurochemical modulation. Presentation at ESCAN (European Society for Cognitive and Affective Neuroscience) conference, Leiden (Netherlands), July 2018.
van Steenbergen, H., (2018). The affective nature of errors and its modulation by the opioid system. Presentation at CERE (Consortium of European Research on Emotion) Conference, Glasgow (Scotland, UK), April 2018.
van Steenbergen, H. (2018). The affective nature of errors and its neurochemical modulation. Presentation at TeaP (Tagung experimentell arbeitender Psychologen), Marburg (Germany), March 2018.
van Steenbergen, H. (2017). How effortful is cognitive control? Evidence from pupillometry, facial EMG, and a novel cardiovascular measure. Presentation at NVP (Dutch Society for Psychonomics ) Winter conference, Egmond aan Zee (Netherlands), December 2017.
van Steenbergen, H. (2017). The affective nature of cognitive control. Presentation at Ghent University (invited talk), Ghent (Belgium), November 2017.
van Steenbergen, H. (2017). The role of the mu-opioid system in adaptive cognitive control. Presentation at Control Processes Conference, Amsterdam (Netherlands), October 2017.
van Steenbergen, H. (2017). Beyond pleasure and pain: The role of the mu-opioid system in cognitive control. Presentation at Motivational & Cognitive Control Lab, Donders Institute for Brain, Cognition and Behaviour, Nijmegen (Netherlands), May 2017.
van Steenbergen, H. (2016). The affective nature of cognitive control. Presentation at University of Wuerzburg (invited talk), Wuerzbrug (Germany), December 2016.
van Steenbergen, H., (2016). Pupil dilation in cognitive control tasks: Is it aversive conflict, effort, or both? Presentation at CERE (Consortium of European Research on Emotion) Conference, Leiden (Netherlands), July 2016.
van Steenbergen, H., (2016). The neural encoding of outcomes and its role in action control. Presentation at ESCAN (European Society for Cognitive and Affective Neuroscience) conference, Porto (Portugal), June 2016.
van Steenbergen, H., (2016). Pupil dilation in cognitive control tasks: Is it conflict, effort, or both? Presentation at TeaP (Tagung experimentell arbeitender Psychologen), Heidelberg (Germany), March 2016.
van Steenbergen, H., (2015). The role of outcome encoding and reward processing in action control. Presentation at NVP (Dutch Society for Psychonomics ) Winter conference, Egmond aan Zee (Netherlands), December 2015.
van Steenbergen, H., Watson, P., Wiers, R.W., Hommel, B., & de Wit, S. (2015). Neural mechanisms of habitual and goal-directed food-seeking after satiation. Presentation at International Society for Research on Emotion (ISRE) Conference, Geneva (Switzerland), July 2015.
van Steenbergen, H., Watson, P., Wiers, R.W., Hommel, B., & de Wit, S. (2015). The neural underpinnings of habitual and goal-directed food-seeking during satiation. Presentation at ICPS (International Convention of Psychological Science), Amsterdam, The Netherlands, March 2015.
van Steenbergen, H., Nieuwenhuis, S., Band, G.P.H., Rombouts, S.A.R.B., & Hommel, B. (2014). Neural mechanisms underlying the hedonic counter-regulation of cognitive control. Presentation at ESCAN (European Society for Cognitive and Affective Neuroscience) conference, Dortmund, May 2014.
van Steenbergen, H., Nieuwenhuis, S., Band, G.P.H., Rombouts, S.A.R.B., & Hommel, B. (2014). Affect and goal-directed action. Presentation at the Department of Psychiatry and Mental Health (invited talk), University of Cape Town, South Africa, February 2014.
van Steenbergen, H., Hengstler, M., Holland, R., & van Knippenberg, A. Controlled by the Body: The Effect of Approach and Avoidance Actions on Adjustments in Cognitive Control. Presentation at APS (Association for Psychological Science) Convention, Washington D.C. (USA), May 2013.
van Steenbergen, H., Hengstler, M., Holland, R., & van Knippenberg, A. Controlled by the Body: The Effects of Approach and Avoidance Movements on the Implementation of Difficult Actions. Presentation at Annual Meeting SSM (Society for the Study of Motivation), Washington D.C. (USA), May 2013.
van Steenbergen, H., Nieuwenhuis, S., Band, G.P.H., Rombouts, S.A.R.B., & Hommel, B. (2012). Humor Regulates Cognitive Control: A Neural Mechanism. Presentation at the Amsterdam Center for the Study of Adaptive Control in Brain And Behavior (ACACIA), Amsterdam (invited talk), University of Amsterdam, November 2012.
van Steenbergen, H., de Wit, S., Watson, P., Wiers, R.W., Hommel, B. (2012). Integrating motivational and ideomotoraccounts of action control: The case of the differential outcomes effect. Presentation at NWO BCIA-Programmes for Excellence meeting, Utrecht, July 2012.
van Steenbergen, H., Band, G.P.H., Nieuwenhuis, S., Rombouts, S.A.R.B., van der Does, A.J.W., Booij, L, & Hommel, B. (2012). How affect regulates the mobilization of cognitive control. Presentation at Annual Meeting SSM (Society for the Study of Motivation), Chicago (USA), May 2012.
van Steenbergen, H., Nieuwenhuis, S., Band, G.P.H., Rombouts, S.A.R.B., & Hommel, B. (2011). Humor regulates cognitive control: a neural mechanism. Presentation at NVP Winterconference, Egmond aan Zee (Netherlands), December 2011.
van Steenbergen, H., Nieuwenhuis, S., Band, G.P.H., Rombouts, S.A.R.B., & Hommel, B. (2011). The affective regulation of cognitive control: behavioral and neural evidence. Presentation at Geneva Motivation Lab (invited lecture), University of Geneva, November 2011.
van Steenbergen, H., Band, G.P.H., Hommel, B., Rombouts, S.A.R.B., & Nieuwenhuis, S. (2011). Humor regulates cognitive control. Presentation at ESCoP Conference, San Sebastian (Spain), October 2011.
van Steenbergen, H., Nieuwenhuis, S., Band, G.P.H., Rombouts, S.A.R.B., & Hommel, B. (2011). The affective regulation of cognitive control: behavioral and neural evidence. Presentation at Behavioral Science Institute (invited lecture),Radboud University Nijmegen (Netherlands), February 2011.
van Steenbergen, H., Band, G.P.H., & Hommel, B. (2010). Neural interactions between conflict and reward processing. Presentation at EPOS workshop The influence of emotions on cognition (Co-motion), Universiteit Leiden (Netherlands), December 2010.
van Steenbergen, H., Band, G.P.H., & Hommel, B. (2010). Het nut van cognitieve ruzie: De rol van emotie bij de controle van intelligent gedrag. [The benefit of cognitive quarrels: the role of emotion in controlling intelligent behavior].Presentation at Lustrum Symposium Ratio en Emotie, Universiteit Leiden (Netherlands), May 2010.
van Steenbergen, H., Band, G.P.H., & Hommel, B. (2009). Reward counteracts conflict adaptation: evidence from physiological measures. Presentation at NVP Wintercongres, Egmond aan Zee (Netherlands), December 2009.
van Steenbergen, H., Band, G.P.H., & Hommel, B. (2009). Positive affect and executive control. Presentation at European Society for Cognitive Psychology (ESCoP) Conference, Krakow, September 2009.
van Steenbergen, H., Band, G.P.H., & Hommel, B. (2009). Affective modulations of conflict adaptation. Presentation at International Society for Research on Emotion (ISRE) Conference, Leuven (Belgium), August 2009.
van Steenbergen, H., Band, G.P.H., & Hommel, B. (2007). Hot cognition: How emotions shape information processing.Presentation at Wetenschapsdag, Universiteit Leiden, December 2007.
van Steenbergen, H., de Wit, S., Watson, P., Wiers, R.W., Hommel, B. (2012). Integrating motivational and ideomotoraccounts of action control: The case of the differential outcomes effect. Poster presented at NWO BCIA-Programmesfor Excellence meeting, Utrecht, July 2012.
van Steenbergen, H., Nieuwenhuis, S., Band, G.P.H., Rombouts, S.A.R.B., & Hommel, B. (2012). Humor regulates cognitive control: a neural mechanism. Poster presented at APS (Association for Psychological Science) Convention, Chicago (USA), May 2012.
van Steenbergen, H., Nieuwenhuis, S., Band, G.P.H., Rombouts, S.A.R.B., & Hommel, B. (2011). Humor regulates cognitive control: a neural mechanism. Poster at ICON XI (International Conference on Cognitive Neuroscience), Palma, Mallorca (Spain), September 2011.
van Steenbergen, H., Nieuwenhuis, S., Band, G.P.H., Rombouts, S.A.R.B., & Hommel, B. Positive affect reduces conflict-driven executive control: behavioral and neural evidence. Poster presented at NIMH IBSC Conference on “How do Executive Function and Emotion Interact?”, Boulder, Colorado, January 2011.
van Steenbergen, H., Band, G.P.H., & Hommel, B. (2010). Reward counteracts conflict-driven adaptations in cognitive control: evidence from behavioral and physiological measures. Poster at Society for Psychophysiological Research (SPR) Annual Meeting, Portland, Oregan, October 2010.
van Steenbergen, H., Band, G.P.H., & Hommel, B. (2009). How emotional arousal drives reflexive saccades. Poster presented at International Society for Research on Emotion (ISRE) Conference, Leuven (Belgium), August 2009.
van Steenbergen, H., Band, G.P.H., & Hommel, B. (2009). Emotional arousal drives reflexive saccades. Poster at Banff Annual Seminar in Cognitive Science (BASICS 2009), Banff (Canada), May 2009.
van Steenbergen, H., Band, G.P.H., & Hommel, B. (2008). Emotional arousal drives reflexive saccades. Poster presented at Workshop Neuroscience and Cognition (Neurocog 08), Ghent (Belgium), December 2008. Band, G.P.H., Van Steenbergen, H., Hommel, B., Ridderinkhof, K.R., & Falkenstein, M. (2007). Feedback ERN to irrelevant action consequences. Poster presented at Cognitive Neuroscience Society (CNS) Annual Meeting, New York, May 2007. Band, G.P.H., Van Steenbergen, H., & Van der Ham, R. (2006). Automatic activation of stimulus-task associations in the motor cortex. Poster presented at Cognitive Neuroscience Society (CNS) Annual Meeting, San Francisco, May 2006.